A well designed porch will add kerb appeal and value to your Bristol or Bath property. Whether you require a modular uPVC porch, a brick wall and tiled roof porch or something completely unique – we can design and build it for you. We only use quality materials in all of our porch construction and only fit our high specification windows and doors. All our porches come with a comprehensive ‘insurance backed’ 10 year guarantee, giving you peace of mind for the whole of the porch – including the base, all products and building work. The multi-point locking (Anti-Bump, Anti-Pick, Anti- Drill, Anti-Snap, Anti-Extraction) system comes as standard. All our porches come with a 10 year security pledge which means we will replace any damaged window or door which has been forced open via the locking system by an intruder. Transform the look of your home with a Polar Bear porch – they also offer extra space, greater energy efficiency and top-of-the-range security. Our porch design will be bespoke and you can choose from a range of roof shapes, brick walls and aluminium or uPVC frame and window options. We make it easy for you to create the entrance you’re looking for. One of our Polar Bear designers will visit you at home to give you expert advice tailored to your specific circumstances. They’ll show you the range of styles, colours, glass options and decorative effects that you can choose to make your Bristol or Bath porch unique. Once you’ve decided what you want, they’ll measure up and give you an accurate quote. Our premium sprayed colour service gives you an almost unlimited amount of colour options. Choose from the extensive RAL range of colours and make your Bristol porch truly unique! 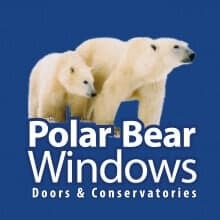 Whether you require a modular upvc porch, a brick wall and tiled roof porch, or something completely unique, Polar Bear Windows can design and build it for you. Here is just a selection of styles to complement your Bristol or Bath home.